Malta's strategic location at the centre of the Mediterranean Sea has always placed the international transportation industry as an area of particular focus for economic development, and the island has a long-standing tradition as a hub of maritime activity between Europe, North Africa and the Middle East. The development of a strong maritime infrastructure started from the time of the Knights of Malta in the 16–18th centuries, and continued in the years of British dominance over the islands from the beginning of the 19th century. As a result, the maritime infrastructure in Malta is consolidated and diversified, with major transhipment, shipbuilding and ship-repair facilities, within famously safe natural harbours. Furthermore, the knowledge infrastructure available in the maritime field has developed over the centuries, and is widely respected in the artisanal, technical, professional and other fields. Most aircraft and ships registered or operating in Malta are financed through foreign credit providers rather than local banks or credit institutions. There is, however, a strong presence of service providers specialising in asset finance. A number of legislative instruments come into play in relation to the financing of vessels. The general rules on contract law, contained in Chapter 16 of the Laws of Malta (the Civil Code), may apply to various forms of finance documents, such as loan or leasing agreements, where Maltese law is the governing law. Moreover, the Civil Code contains relevant provisions on certain types of security often required by financiers, including pledges, irrevocable powers of attorney and security by title transfer. The Civil Code also contains specific provisions on ranking of creditors, causes of preference and inter-creditor agreements. The laws relating to companies, specifically Chapter 386 of the Laws of Malta (the Companies Act), and subsidiary legislation enacted under the Chapter 234 of the Laws of Malta (the Merchant Shipping Act),6 will also be relevant in some respects, in view of the fact that the entities that will be directly responsible towards financiers for repayment generally take the form of limited liability companies that own the vessels. The creation, maintenance, dissolution, winding-up and insolvency of such companies is regulated by the Companies Act, and the aforementioned subsidiary legislation. The registration and operation of vessels, as well as the creation and registration of mortgages, privileges, hypothecs and liens over vessels, is governed by the Merchant Shipping Act, which widely adopts Anglo-Saxon notions in this regard. The Merchant Shipping Directorate at Transport Malta, commonly referred to as the Malta ship registry, is responsible for the registration of vessels under the Malta flag and the provision of all aspects of the ongoing administration of Malta-flagged vessels, including the registration of mortgages over vessels. Registration of a mortgage under the Merchant Shipping Act provides a high degree of security to financiers willing to fund the purchase of ships and yachts. The nature and effects of Maltese mortgages are further discussed in later sections of this chapter. Chapter 12 of the Laws of Malta (the Code of Organisation and Civil Procedure) is also highly relevant in the ship-finance context, in that it lays down specific remedies available to creditors and the various methods of enforcement, including arrest of ships, judicial sales by auction and court-approved private sales. Jurisdiction of the Maltese courts and the claims in respect of which a creditor may proceed by means of an action in rem are also identified in the Code. In addition to the above, domestic private international law rules – also found in the Code of Organisation and Civil Procedure, as well as Regulation (EU) No. 1215/2015, which recently substituted the Brussels I Regulation – are also directly applicable and may be relevant to creditors depending on the multitude of factors that determine applicable laws and jurisdiction in relation to any particular matter. The Civil Code, Companies Act and Code of Organisation and Civil Procedure, as well as private international law rules, are also relevant in connection with aircraft, any aircraft-financing arrangement insofar as they govern general contract law, certain forms of security, limited liability companies, arrest and other enforcement procedures, including choice of law and jurisdictional issues. Aircraft registration and various forms of security, including mortgages and other security interests over aircraft, are governed by Chapter 503 of the Laws of Malta (the Aircraft Registration Act), which, in 2010, revamped Maltese laws relating to aviation, effectively consolidating the laws on registration and security over aircraft into a single legislative instrument. The Aircraft Registration Act also implements the Convention on International Interests in Mobile Equipment, 2001 (the Cape Town Convention) and its Protocol, ratified by Malta in 2010 and amended further in November 2016. The Aircraft Registration Act formally recognises modern ownership structures such as fractional ownership and ownership through trust structures besides facilitating aircraft leasing, while working hand in hand with relevant amendments to the Civil Code to create a comprehensive security regime. The principal legislative instrument regulating the banking industry in Malta is the Banking Act,7 which is concerned with the licensing of banks, while further catering for their ongoing regulation and supervision. The Capital Requirements Directive of the European Union (Directive 2013/36/EU on access to the activity of credit institutions and the prudential supervision of credit institutions and investment firms) and Regulation No. 575/2013 on prudential requirements for credit institutions and investment firms are implemented into Maltese law by way of the same Banking Act, which is supplemented by a set of 19 Banking Rules issued by the Malta Financial Services Authority (MFSA) for this purpose. The MFSA is the regulator of the banking industry in Malta and is responsible for the vast majority of financial-services activities undertaken in Malta. As a general rule, the Banking Act stipulates that all credit institutions must have effective measures in place to assess and maintain internal capital levels necessary to cover the nature of risks to which they are or may be exposed. The Banking Rules issued by the MFSA serve to specifically regulate the bank capital adequacy regime applicable to credit institutions and make reference to the capital requirements criteria that must be fulfilled by these institutions. These criteria are often represented by means of the capital requirements ratio, which expresses the credit institution's own funds as a proportion of risk-weighted assets and off-balance sheet items, as well as perceived risk-weighted assets in respect of operational and market risk. In accordance with Regulation No. 575/2013 as implemented by the Banking Rules here referred to, the minimum level of the capital requirements ratio is 8 per cent, subject to the power afforded to the MFSA to increase this minimum level as a licence condition. Without prejudice to the minimum level of capital requirements ratio, it is pertinent to mention that the Banking Act further provides that no organisation shall be granted a licence to act as a credit institution unless it has initial capital amounting to at least €5 million, or an equivalent amount in another currency. the net stable funding ratio – banks must ensure that long-term loans are funded from equivalent to long-term financing sources. The credit institutions' adherence to the above-mentioned ratios should ensure that in the event of another financial downturn banks will be better equipped to absorb certain losses. Banks and other credit institutions in Malta are regulated and overseen by the MFSA. The Central Bank of Malta must also supervise the conduct and activities of the local banks as it is responsible for ensuring the financial stability of the same. The Merchant Shipping Act provides for three forms of security that may be created, by agreement or operation of law, over a vessel. A vessel may secure an obligation by means of (1) a mortgage; (2) a general hypothec over all debtor's assets, including the vessel; or (3) a special privilege arising in terms of law. A crucial feature of the rules on ships as security for debts is that ships constitute a particular class of movables whereby they form separate and distinct assets within the estate of their owners for the security of actions and claims to which the vessel is subject. In the event of bankruptcy of the owner of a ship, all actions and claims to which the ship may be subject shall have preference, on the said ship, over all other debts of the estate. In effect, this would mean that if, for instance, a ship owner has a number of creditors, each having various forms of security over various assets, a creditor having a mortgage over the ship would rank before all other creditors in respect of the ship, notwithstanding that the same creditor will rank after other creditors in respect of other assets. Other than these three main forms, the Civil Code, Companies Act and other subsidiary legislation, provide the framework for other forms of security commonly required by banks or other entities financing the acquisition or operation of ships, including, inter alia, assignments of rights and other receivables, pledges of shares, suretyship, and irrevocable powers of attorney. the Merchant Shipping Act gives mortgagees extensive and easily enforceable rights in the event of a default of the debtor. The procedure for registering a mortgage is straightforward. The mortgage is drawn up on the statutory form and delivered to the Ship Registrar, who will make the appropriate entry, indicating the exact time of registration, in the register kept for the purpose. As is the case with ships, the legal framework allows for various forms of security to be granted in favour of creditors, including, among others, mortgages, privileges, hypothecs, share pledges, assignment of rights, sureties and irrevocable powers of attorney. The two main forms of security over aircraft are the registered Maltese mortgage and the international interest under Cape Town Convention. The registered mortgage over aircraft shares many of the features applicable to mortgages over ships. The aircraft is a separate asset within the estate of the owner, and is unaffected by bankruptcy of the owner. Furthermore it constitutes an executive title and affords the mortgagee various rights enabling expeditious enforcement. The registration procedure is also similar to that for registration over vessels with the mortgage being recorded on a statutory form and delivered for registration in the National Aircraft Register. A mortgage may also be registered over a vessel under construction. Banks and other institutions financing new buildings, however, must be aware that Maltese law favours the shipbuilder by imposing a possessory lien in the shipbuilder's favour over the vessel. This entitles the shipbuilder to retain possession of the ship until all debts due to the shipbuilder have been paid. A debt secured by a mortgage will rank after the debt secured by the statutory lien in favour of the shipbuilder. Similarly, any ship repairer or other creditor into whose care and authority a ship has been placed for the execution of works or other purposes shall also have a possessory lien over the relevant ship. A possessory lien is also granted ex lege to any aircraft repairer, aircraft manufacturer or any other creditor into whose authority an aircraft has been placed for the execution of works or other purposes. Creditors seeking to enforce their rights will generally institute court proceedings by sworn application. Once judgment is given in favour of the creditor, the latter may use any of the warrants available at law, including, inter alia, a warrant of arrest, seizure, or a garnishee order, to recover the relevant amount due from the assets of the judgment debtor. A creditor having a registered mortgage, however, will be in a significantly more advantageous position than other creditors having other forms of security against the debtor. This is because a registered mortgage gives the creditor extensive and easily enforceable rights to recover amounts due, including self-help remedies, namely the right to take possession of and sell the ship. Furthermore, a registered mortgagee may obtain an executive warrant of arrest of the vessel, and subsequent judicial sale by auction, without the necessity of first obtaining judicial confirmation of the claim, in view of the fact that the mortgage is considered an executive title. Where a mortgage is not for an amount that is set, liquid and due, the mortgagee can easily ensure executive title status by means of an affidavit specifying the sum due at the time of enforcement, served on the mortgagor. Another remedy available to the registered mortgagee, is the court-approved private sale, in terms of Article 358 et seq. of the Code of Organisation and Civil Procedure. The creditor will here, having identified a prospective buyer, seek court approval of the sale for a determined price, thereby avoiding the slightly more complex judicial sale-by-auction procedure. The Merchant Shipping Act also contains provisions regarding ranking of creditors. A debt secured by a mortgage ranks in preference to all other claims other than the following specified privileged claims: tonnage dues; wages and expenses for assistance, recovery of salvage and for pilotage; wages of watchmen and related expenses; rent of warehouses; expenses for preservation of the ship; wages due to master, officers and members of the vessel's complement; damages due to seamen for death or personal injury; moneys due to creditors for labour, work, repairs prior to the departure of the ship on her most recent voyage; ship agency fees due for the ship after her most recent entry into port; and debts due to the ship repairer or shipbuilder for building or repairs. The registered mortgagee will rank prior to all other claims. The significant advantages enjoyed by a registered mortgagee over other creditors was one of the factors that led to the introduction of the mortgage as a legal concept in Maltese law for ships and aircraft more than 40 years ago, in the early 1970s. The resultant asset finance regime has in turn been a major factor underlying the success of the Maltese ship registry. Judicial practice has followed in kind as the Maltese courts have generally distinguished themselves in generally dealing with claims involving vessels as a form of security rather expeditiously, recognising that delay in such matters is often highly prejudicial to the parties involved. The holder of a registered mortgage over an aircraft is afforded self-help remedies under the Aircraft Registration Act that are similar to those available to a ship mortgagee. In addition, the Aircraft Registration Act lists two particular remedies that in the past were not clearly considered available to holders of mortgages over vessels: (1) the right to lease the aircraft to generate income; and (2) the right to receive any payment of the price, lease payments and any other income that may be generated from the management of the aircraft. There is also express mention of the fact that the said rights may be exercised without the requirement of seeking leave of the court,11 as well as an additional right to obtain the support of the court should the mortgagee find any hindrance in the exercise of its self-help remedies. Further recent legislative amendment provides for application of funds received by a mortgagee after enforcement, as well as for circumstances where vesting of any mortgaged aircraft in the mortgagee (or controlled entity) in or towards the satisfaction of secured obligations, after due notice, is possible. Mortgagees may also enforce their rights by obtaining an executive warrant of arrest, leading to a judicial sale by auction of the aircraft, or by seeking a court-approved private sale, the latter two procedures being regulated under the provisions of the Code of Organisation and Civil Procedure. Furthermore, as Malta is a party to, and has fully implemented the Cape Town Convention and its Aircraft Protocol, creditors secured by an international interest registered with the International Registry, may exercise all the remedies available under the Convention in satisfaction of their claim. As in the case of ships, the Aircraft Registration Act also provides for the ranking of creditors depending on the type of claim. A claim secured by a registered mortgagee or by a charge in the International Registry ranks before all other claims except claims for judicial costs incurred in the enforcement of an executive title, as well as the following privileged claims: sums due to the Director General in respect of the aircraft; crew wages; debts due to the holder of a possessory lien for the repair or preservation of the aircraft; expenses incurred for repair or preservation of the aircraft; wages and expenses for salvage; and debts secured by possessory liens. Ship arrests are governed by the Code of Organisation and Civil Procedure. The said Code lays down the procedure, conditions and rules relating to the issuing of a warrant of arrest of a sea vessel. The Code distinguishes between a precautionary and an executive warrant of arrest. The former may be issued by any person, without the necessity of a prior judgment or other executive title, to secure a debt or a claim, whether in personam or in rem, that could be frustrated by the departure of the ship. The precautionary warrant is issued and carried into effect on the responsibility of the person at whose request the warrant is issued. The claimant may therefore be liable for payment of damages and penalties where a warrant is sued out maliciously. Once a precautionary warrant is issued, the applicant has 20 days within which to bring the action in respect of the right stated in the warrant. An executive warrant of arrest, on the other hand, can be issued out where the claimant already has an executive title, such as a judgment in its favour, or a registered mortgage. On demand for issue of an executive warrant, the court may, in its discretion, order the sale of the vessel, or fix a time limit within which the debtor must pay the amount due. On expiry of the time limit, the court is bound to order the sale if the debtor has not yet paid. It is very relevant, in this respect, to highlight the fact that registered mortgages under Maltese law are considered to be an executive title, as explained above. This is highly beneficial to creditors seeking to enforce a mortgage, as it enables them to sue out an executive warrant of arrest, leading to the judicial or private sale of the vessel, without first going through the whole process of obtaining a judgment confirming that the debt is due and ordering the debtor to pay. A creditor having a mortgage registered in its favour will only be required to serve the debtor with an intimation to effect payment by means of a judicial act, following which the creditor may proceed to obtain a warrant of arrest to proceed with the sale of the vessel in settlement of the debt. Naturally, creditors must not issue out a warrant without valid grounds for doing so, as nullity of the warrant will expose them to an action for damages by the debtor. The procedure for obtaining an executive warrant of arrest provides for the filing an application to the court containing the demand for the warrant to be issued. Once the court has ordered the warrant to be carried into effect, the court executing officer may then proceed to exercise all such powers as are necessary to arrest the vessel. No opposition to the execution of any warrant is possible until the execution has been effected. The debtor is notified of the warrant and may bring an action for revocation of the warrant, if there is any reason valid at law for doing so. It is possible, in certain cases, to arrest a sister ship under Maltese law. The Code of Organisation and Civil Procedure lists the claims in rem that may be brought against a vessel. It goes on to specify that in respect of a number of these claims, an action in rem may be brought against any vessel where the person who would be liable on the claim for an action in personam, is, at the time the action is brought, the owner or beneficial owner of the relevant vessel. Therefore, where there is a right to bring an action in rem against a sister ship, the creditor of the claim may obtain a warrant of arrest over that ship, as security or in execution of that right. The procedure for judicial sale of ships is the ordinary procedure applicable to judicial sale of movables in general. The judicial sale takes place by auction conducted by a public auctioneer. An appraisement may be demanded by the debtor or creditor. Should an appraisement be made, no offer of less than 60 per cent of the appraised value may be accepted. A purchaser would be required to deposit the price in court within seven days of the date of final adjudication. Any creditor having a judgment in his or her favour or other executive title may bid animo compensandi, that is, in set-off of the debt owing to him or her. In such cases, the purchaser animo compensandi will not be required to deposit the price in court, unless the price exceeds the amount of the debt, in which case the purchaser would deposit only the surplus. Aircraft arrests are also governed by the Code of Organisation and Civil Procedure. The same rules regarding precautionary and executive warrants apply in respect of aircraft. This list of possible claims in rem against aircraft, however, are more limited that those that may be brought against a vessel. Nevertheless, a claim in respect of a mortgage or international interest is included in the list. It should, however, be noted that the situation regarding arrest of aircraft differs from that of arrest of ships in that it is only possible to institute proceedings in rem against the aircraft in connection with which the claim arose, and not against other aircraft of which the person who would be liable on a claim in personam is the owner or beneficial owner. The procedure for judicial sale of an aircraft is practically identical to the same procedure applicable in respect of vessels and movables in general. Two recent significant cases in the field of asset finance, are the following. In the aviation context, a recent case wherein the court applied and interpreted the provisions regarding the precautionary warrant of arrest of aircraft is the Medilink International Air Ambulance Limited case.12 The court here once again removed doubt as to the nature of alternative security that would allow for release of the relevant aircraft to be put up by a party against whom the warrant of arrest is issued. The party requesting the revocation of the warrant had claimed that the alleged debtor had sufficient assets in the form of shares in a Maltese company that were shown to have a certain market value that would clearly cover the original demand that had led to the arrest. The court refused to accept this as sufficient security, highlighting that the relevant alternative security must be firm, clear and capable of being realised by the judgment creditor. The court also confirmed that security in the form of a bank guarantee would also be acceptable. The MV Kay case is of particular interest, as it arguably affords creditors additional remedy possibilities.13 The plaintiff (creditor) had a first-ranking mortgage registered in St Vincent and the Grenadines, which the court considered equivalent to a mortgage under Maltese law as it satisfied the requisite conditions for recognition, and, therefore, also constituted an executive title. The plaintiff, therefore, arrested the vessel, and the court exercised its discretion to allow the plaintiff a short period to repay the debt. In the meantime, the plaintiff filed an application for court-approved private sale of the vessel, rather than following through with the procedure that would have resulted in judicial sale by auction. The unusual feature in this case, however, was that the creditor sought to have the court approve its own acquisition of the vessel by way of set-off for amounts it had claimed, rather than a private sale to a third-party buyer. The court considered that the law imposed no restriction on who can be the purchaser in a court-approved sale, and therefore upheld the claimant's request. This judgment therefore allows mortgagees to proceed with acquiring the relevant vessel themselves, without going through the entire (more complex and costly) procedure of bidding animo compensandi in a judicial sale by auction, thereby acquiring title to the vessel concerned free from all privileges and encumbrances. 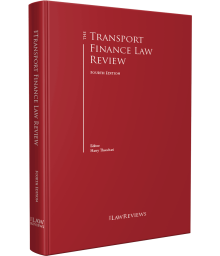 The approach adopted in cases such as the above highlights a judicial attitude that consistently favours clear certainty in the field of ship and aircraft finance, ensuring that principles enunciated in recognising security interests in mobile assets are developed consistently and predictably. This is yet another aspect of the Maltese asset-finance panorama that will continue to underscore the island's progressive development as a centre of expertise and excellence in the asset-finance field. Act LII of 2016, which was enacted on 29 November 2016, amends various pieces of legislation, mainly in order to better provide for the financing of aircraft engines (including the specific extension of in rem jurisdiction thereon and the possibility of arrest thereof). The amendments also provide for simplified insolvency procedures for aircraft companies,15 thus further alleviating the position of preferred creditors.16 In both aviation and maritime law, the legal regime continues to develop mainly through court interpretation and application of existing rules and regulations. A notable trend that has subsisted over the years, in both the aviation and maritime sectors, is the tendency towards an approach that favours creditors. This can be seen in legislation protecting and strengthening the position of creditors, as well as the stance adopted by the courts in enforcing creditors' rights, as explained in previous sections of this chapter. Meanwhile, the ship and aircraft registries remain attractive to numerous ship and aircraft owners for various reasons, as evidenced by the statistics regarding registry growth provided in the introductory section. In light of this, there is a positive outlook for both aviation and maritime industries, with further growth expected in both registries, and continued refinement of the legal regime governing vessel and aircraft financing, through legislative and court action. 2 As at the end of August 2017, the reported registered gross tonnage in the Malta ship registry was 74 million gross tons, ensuring that Malta remains the leading ship registry in Europe and the sixth largest in the world. 3 Lufthansa Technik established major facilities in Malta in 2003, followed by SR Techniks in 2010, among others. 4 As at the end of December 2017, the Maltese Aviation Registry holds over 260 aeroplanes, 52 of which were registered in 2017 alone. This register includes a variety of aeroplanes and Transport Malta was the first entity in the European Union to register a Sukhoi Superjet 100 aeroplane. 5 The Convention on International Interests in Mobile Equipment was adopted in Cape Town, South Africa on 16 November 2001, and came into force on 1 March 2006. Following ratification, the Convention entered into force in Malta on 1 February 2011. 6 Subsidiary Legislation 234.42 – Merchant Shipping (Shipping Organisations – Private Companies) Regulations. 7 Chapter 371 of the Laws of Malta. 8 Chapter 376 of the Laws of Malta. 9 Directive 2014/65/EU of the European Parliament and of the Council of 15 May 2014. 10 The Cape Town Convention is implemented through Articles 45 et seq. of the Aircraft Registration Act. 11 The courts have confirmed that this is also the case in respect of holders of mortgages over ships, notwithstanding the lack of any express affirmation in the law – Norddeutsche Landesbank Girozentrale v. Chemstar Shipping Limited, Appell Civili Numru. 810/2011/1, 25 May 2012. 12 Medilink International Air Ambulance Limited v. L-Arjuplan 9H-MCM MSN-0028, decided by the First Hall, Civil Court on 5 October 2015, Reference No. 291/2015. 13 Pacific Seaways Shipbuilding Inc v. il-Bastiment MV Kay, decided by the First Hall, Civil Court on 18 February 2016, Reference No. 35/2016. 14 Article 34(6) of Chapter 371 of the Laws of Malta. 15 Defined as companies whose centre of main interests is in Malta or is registered in Malta and the sole asset of which is an aircraft or aircraft engines and other related assets. 16 This term refers to the holders of a mortgage, an international interest or a security interest, or trustees or agents for such persons.